whitening soaps | Badudets Everything Nice! 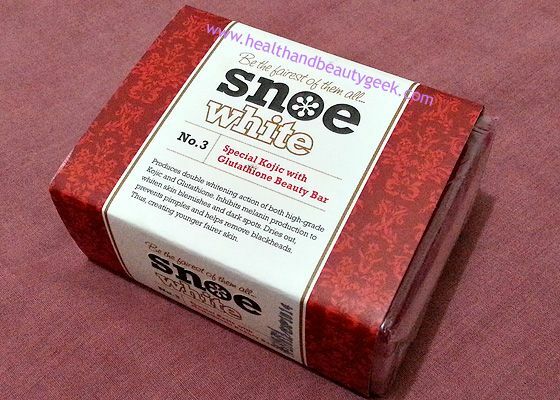 Another local beauty brand is added on my list, and its name is Snoe. The Snoe Poudre Extraordinaire is part of my daily beauty regimen. I also bought their Snoe whitening soaps to try. Since my primary concern is to whiten my skin, I chose Snoe White Special Kojic and Glutathione Combo Beauty Bar. Kojic and glutathione are known for their whitening properties so I chose this soap. This is also one of their bestsellers according to the staff.